Designed to assist you in learning how to share singing, dancing, playing percussion and other musical activities with your child, no matter what your musical ability. 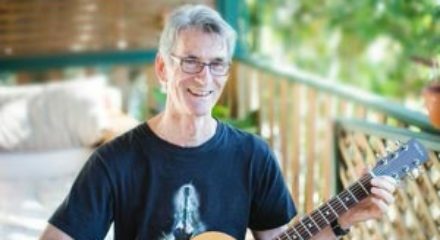 Learn guitar, keyboard, drums and vocals while playing in the Sunshine Coast Kids Gig Bands. Your kids will pick up their guitar, keyboard or drums and practise for their next live Gig without being asked. Easy Ways to Learn Music Now. Enrol in our new Sunshine Coast Kids Gig Bands. We teach in the music studios at The School Locker. 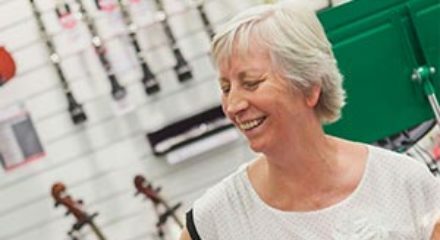 This store is situated in the Home Maker Centre on Maroochy Blvd, Maroochydore. How much do lessons cost? Do you give a discount for a referral? Private lessons are $35 for half hour over a 10 week public school term. Yes, receive a $10 discount for your next lesson and your friend's lesson when you refer them to Music Matters. Monday to Friday 9.00am to 5.30pm. Call me today to select a lesson time that suits you. What is your teaching policy? If teachers miss a lesson it will be made up by an extra lesson or credit to the next term. If students miss a lesson we are willing to make it up but cannot always promise to do so. All lessons are payable. I have never played music before, am I too old to start? You benefit from lessons starting at any age as learning music helps in many ways both physical and cognitive. Yes, practising at home in between lessons is important if you want to improve and progress. Download our FREE eBook "A Parent's Guide to Beating the Practise Blues" for 4 awesome ways to keeping the practise momentum flowing. Do I need a piano or will an electronic keyboard be ok? Do you offer trial classes or free lessons? Certainly! I offer a free 15-20 minute lesson where I can show you the style of teaching we use and the tuition books available. We can then chat about the student's goals, needs, preferences and the teaching curriculum. Any questions can be answered and the lesson attendance policy discussed. Call me now to book your free lesson. What do I bring to my first lesson? Just yourself and your instrument if you are not learning piano. In our first lesson together we get down to basics right away, so you can go home and practise your new skills. … you have enrolled your child in music lessons, and paid the term fee. Congratulations! You have made a great educational choice for your entire family. 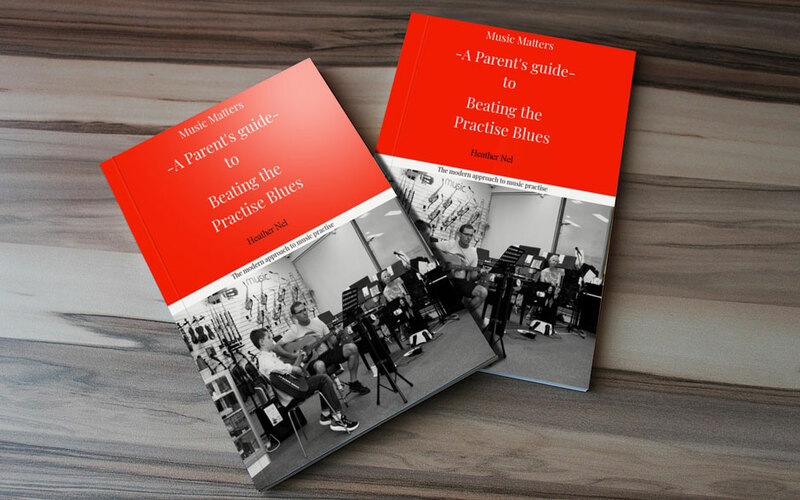 Now it is time to get the best value out of your important investment… download “A Parent’s Guide to Beating the Practise Blues” today and avoid the common issues surrounding music practise. Take the lead and apply the modern approach to music practise. "Heston has been learning the piano with Heather at Music Matters for over 12 months. We have been amazed at how quickly he has adapted to the "Music for Little Mozarts" program. He is excited to complete the Work Book theory pages and loves learning to play the different songs from the Music Lesson Books. Heston loves Heather's lessons and comes home inspired and wants to teach us what he has learnt! I feel confident that the Music for Little Mozarts has enhanced his music lessons at school and his overall love for music." "My three sons take music lessons with Heather for guitar and piano. Daniel was able to learn The Pink Panther theme in his first year of lessons. Heather listens to what the boys want to do in class while encouraging them to reach their potential. She has a unique way of keeping the children motivated and engaged." "I am so glad I enrolled my daughter, Angelique, in piano lessons with Music Matters. From the very first lesson she has been engaged, focussed and busy. Angelique enjoys her practise at home and I often sit in for the lessons which I find interesting. The experience and patience Heather brings to lessons make such a wonderful difference in Angelique’s confidence to learn." "My son, Nate says: you make lessons fun, give lots of choice and are always encouraging. Quite the compliment from him!" Skye, high school teacher, mother of student. One of my hobbies as my children are growing up is learning new instruments. I can do it at home and it is lots of fun. I make sure I am on track by sitting for AMEB exams in flute and clarinet. My children enjoy listening to and playing the instruments and I start a collection of percussion instruments so we can all play along together.